Knee Specialist – Dr. Howard Marans – treats all patients in a professional and timely manner. Damage to any of the structures of the knee pain causes – from mild to severe. Dr. Marans will compile your activity level when he completes his physical examination and performs diagnostic testing to determine the root cause of your knee pain. Then, the Doctor will design a customized treatment plan to alleviate your symptoms in the the quickest and most cost-effective way. The knee is the principal weight-bearing joint supporting one’s body weight. At OCOrthopedic+ in Santa Ana, patients have easy access to a vast array of knee injury physical therapy treatment modalities. Schedule your initial consultation with Dr. Howard Marans at his cutting-edge Santa Ana, CA location. Please click the icon below – or – call 714.979.8981. The knee is the principal weight-bearing joint supporting one’s body weight. As a highly recommended knee specialist in Southern California, Dr. Howard Marans of OCOrthopedic+ offers all-encompassing orthopedic knee diagnosis, surgical treatment, and post-op physical therapy. It is very important to receive immediate and proper treatment for your knee pain. If left untreated, scar tissue developed in healing process can develop and lead to chronic conditions in the knee. These chronic conditions to the knee caused by scar tissue will be more difficult to correct. As a highly recommended knee specialist located in Santa Ana, CA, Dr. Howard Marans has the education and clinical experience to correct your injury. The knee is the principal weight-bearing joint supporting one’s body weight. At OC Orthopedic in Fountain Valley, CA, patients have easy access to a vast array of knee injury treatment options. Knee pain is treated by Dr. Howard Marans with state-of-the-art surgical techniques. Whether you are a professional athlete or a weekend warrior, you might not always be able to outrun your risk of a knee injury. The good news is through advances in medical technology, many dreaded knee injuries can now be repaired. Arthroscopic surgery can allow you to return to full activity in many cases. As a renowned knee specialist, Dr. Howard Marans in Fountain Valley, CA has completed fellowship training in the structure and treatment of knee injuries. The knee is a very complex joint with many components. It is the largest and most vulnerable joint in your body. This responsibility makes it the most likely joint to suffer an injury. If you are suffering from knee pain, your first point of medical contact should always be with a doctor specializing in knee injuries. Always immediately consult with a knee specialist to rule out other conditions for your pain. Delays in finding any additional injuries can lead to further and sometimes more extensive injuries because any injury to the knee can cause it to become unstable. Dr. Marans recognizes the urgency with knee injuries and other types of sports injuries. As a compassionate and caring knee specialist, he understands his patients’ desire to get back into action as soon as safely possible. Most patients are seen within a day or two, if not the same day when they call to schedule a consultation with Dr. Marans. Some knee injuries will require surgery if severe. Meniscal tears, ligament tears or cartilage damage typically require surgery. Often, knee injuries can be corrected through arthroscopic surgery. Dr. Marans is a world-renowned orthopedic surgeon specializing in arthroscopic surgery. When seeking treatment for your knee, you want only the best and most experienced medical care. Dr. Howard Marans is the premier knee specialist in the Fountain Valley area. The Doctor will work with you to develop a treatment plan based on your individual needs and desired outcome for recovery. Call to schedule your consultation at 714.979.8981 or click the icon below. Your knee is the largest joint in your body and one of the most complex. Any injury to your knee can threaten its stability, which makes your entire body more vulnerable. An injury to a single knee component can cause it to give out and possibly injure another part of your body in the process. Obtaining immediate medical attention for a knee injury is vital to preventing additional damage from occurring. It gives you the best possibility to returning to your normal activities as soon as possible. 1. Bones that provide stability, flexibility, and strength to the knee. Patella – triangular, flat bone that moves when your leg moves. The patella protects the knee joint and relieves friction between muscles and bones when bending or straightening your knee. 2. Cartilage acts as a shock absorber within your knee. It’s a stiff, but flexible tissue that does not heal well on its own. Articular cartilage – cartilage that covers the ends of the femur and tibia and the back surface of the patella. With the aid of synovial fluid, the cartilage is kept smooth and slippery to reduce friction on the bones. 3. Ligaments connect bones together and help stabilize the knee. 4. Tendons connect muscles to the bone and work to stabilize the knee. Many things can go wrong with your knee. For knee injuries, you want a top knee specialist. Dr. Howard Marans is a fellowship-trained knee specialist in Orange County with over 20 years of experience in repairing knee injuries. Please click below to schedule your consultation or call us at 714.979.8981.
Who is the Best Knee Specialist in Tustin? People who lead active lifestyles understand knee pain will occur at some point. Participation in sports, training, or a fitness routine can create all types of problems for the knee. From simple muscle strains to serious injuries, knee pain can abruptly halt one’s active lifestyle. Chronic pain may decrease participation in activities dramatically. 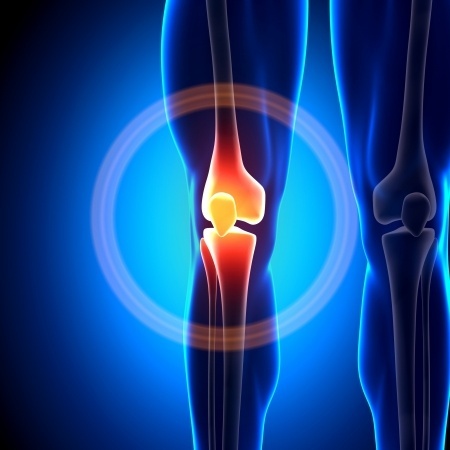 Finding the best knee specialist in Tustin should be the next step. Symptoms will vary with each person based on the degree of injury or the stage of the degenerative disease. The best knee specialist in Tustin – Dr. Howard Marans – will be able to determine if the symptoms are part of a larger problem. After experiencing any knee injury symptoms, the decision to make an appointment with an orthopedic specialist should be a priority. Early diagnosis and treatment will help in achieving the desired outcome allowing the person to resume normal activities. The best knee specialist in Tustin will start with a precise diagnosis to determine the reason for the pain. Medical history, physical examination, x-rays, MRIs, and other imaging devices are primarily used. Each type of knee problem will require a specialized treatment approach based on the patient’s diagnosis. In many cases, the only treatment available is surgery to repair the damage or help eliminate the painful symptoms of a degenerative disease. Milder injuries may be treated with non-surgical methods to help engage in the body’s healing process. Each treatment option will depend on the findings of the initial diagnosis. The best knee specialist in Tustin, Dr. Howard Marans, has over 20 years of consistent experience with all types of musculoskeletal issues. Dr. Marans works with each patient to design an individualized treatment program yielding best results possible. Dr. Marans strives to provide the best knee treatment in Tustin, returning his patients to a normal, active lifestyle. Please click below to schedule your consultation or call us at 714.979.8981.